St. John of Damascus was an Arab Christian monk and priest who lived from late 600 to late 700 C.E. He was a man of many talents, and did work in the fields of music, theology, law, and philosophy. This collection of his works includes three sermons he wrote and preached on icons in the church. 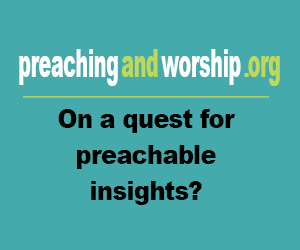 The Iconoclastic Controversy (where some church members believed icons had become idols and should be removed from worship) came to a head in the eighth century, and St. John defended the use of icons in worship. This volume also includes three sermons St. John preached on the Assumption - the Catholic doctrine of Mary being taken up to heaven. St. John's sermons are a revealing look into the icon controversy and the Assumption doctrine. Those interested in these ancient debates will enjoy his historical perspective. Basic information: Chrysorrhoas redirects here. For the river, see Barada. 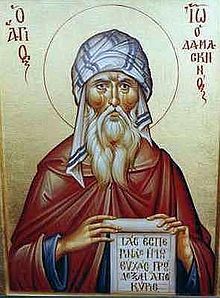 Saint John of Damascus 200pxSaint John Damascene (arabic icon)Doctor of the ChurchBorn c. 645 or 676 ADDamascusDied December 4, 749(749-12-04)Mar Saba, JerusalemHonored in Eastern Orthodox ChurchRoman Catholic ChurchEastern Catholic ChurchesLutheran ChurchAnglican CommunionCanonized Pre-CongregationFeast December 4March 27 Saint John of Damascus was a Syrian monk and priest.